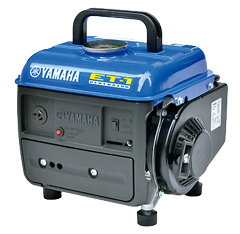 This 2 stroke generator is perfect for use at home and on the move. It works well in the marine environment for boat repairs and basic power tools. This generator has also proved to be the people's choice providing power for simple lighting, television and radio in rural homes. Featuring a 2-stroke reed valve engine of compact size and simple mechanism. This generator is brushless, has circuit breakers, DC output capacity and a handle for easy carrying. Compact size & simple mechanism.